Purchase your own molecular visions model kit using my amazon referral link. If you purchase through my link I do get a small commission at no extra cost to you. 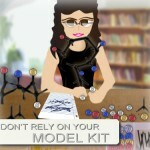 Watch my unboxing video How to use your Organic Chemistry model kit.